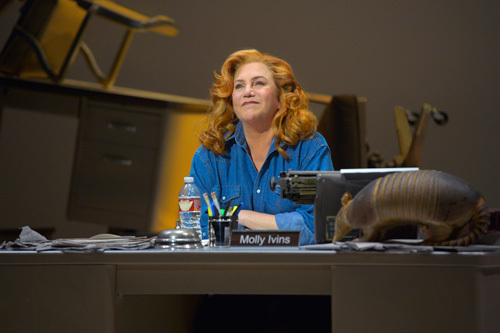 Kathleen Turner plays journalist Molly Ivins as a patchwork of quips. My review is in the San Jose Mercury News and other Bay Area News Group papers. Kathleen Turner in Red Hot Patriot. Photo courtesy of kevinberne.com. Show #118 of 2014, attended November 25.